World History For Us All created this wonderful video that covers the history of the world in 7 minutes. For more World History teaching resources check out our PowerPoints. 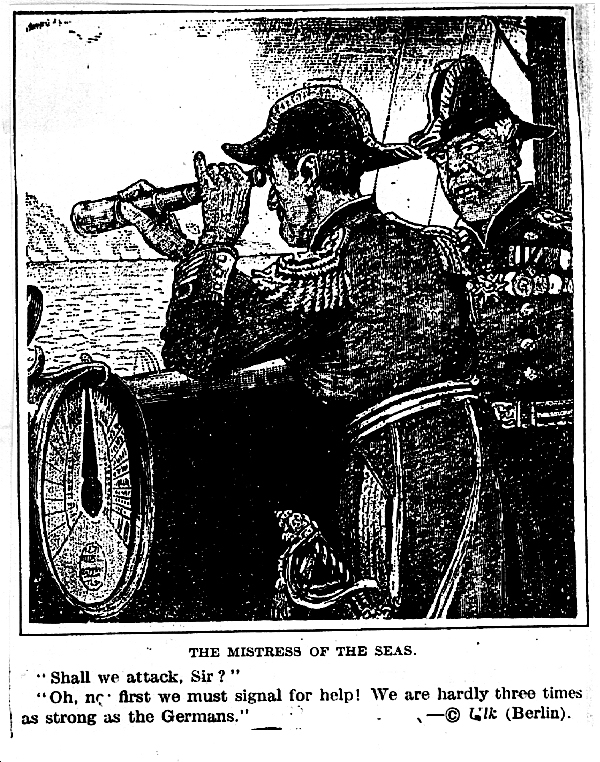 This German 1915 cartoon depicts the British navy as bullies. We have created questions and answers for your classroom use.